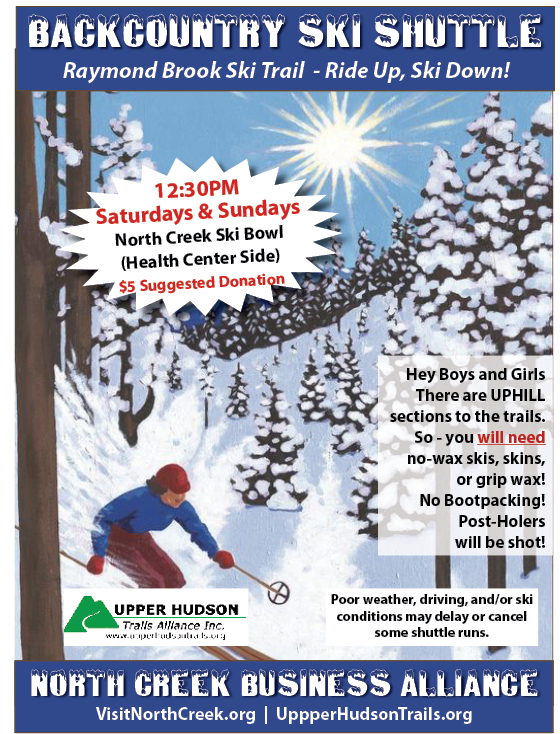 Backcountry Ski Shuttle is on for the Weekend – Sat/Sun, Feb 10, 11, 2018, 12:30p ($5 donation)! 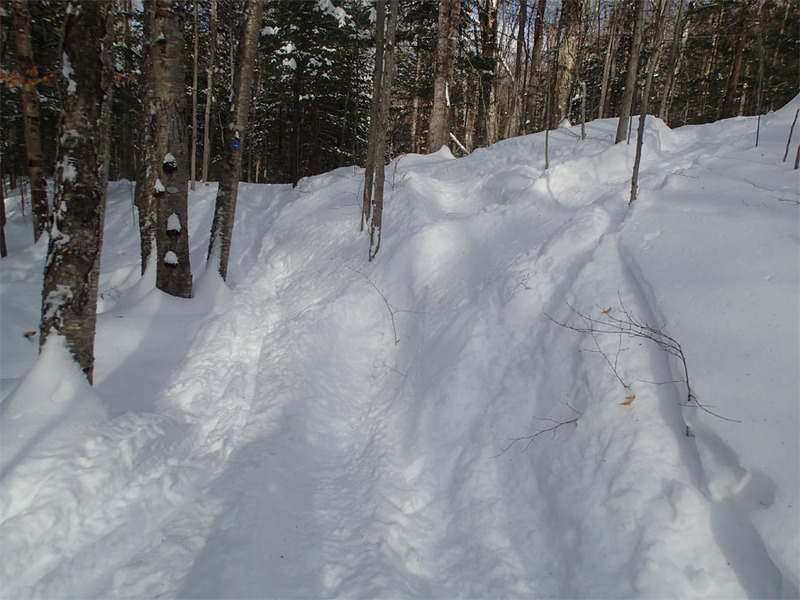 Update – The Raymond Brook ski trail has been illegally snowmobiled. The route is still VERY skiable, but there are some rough spots created by this irresponsible person. 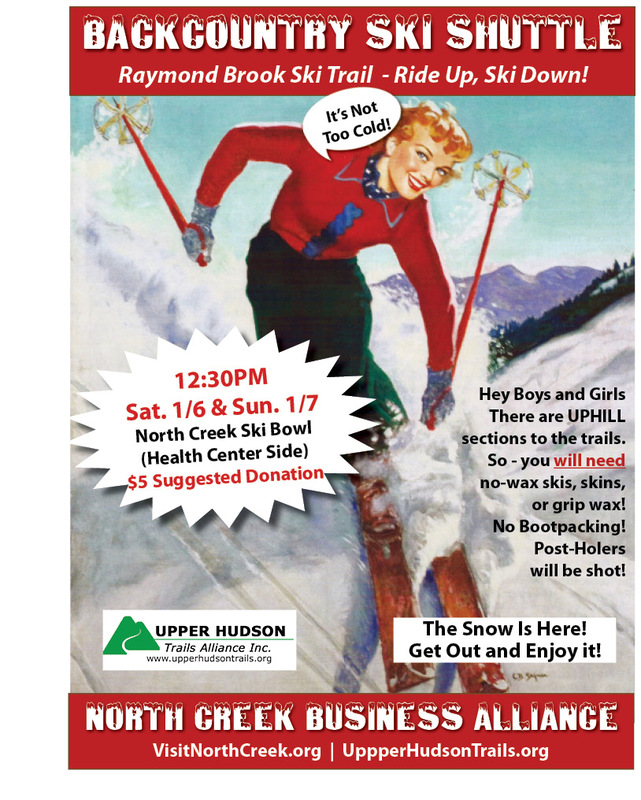 If you know who it is – please inform them that it is illegal – Snowmobiles are prohibited and that it is damage to a great resource for skiers and visitors to North Creek. Pic of trail damage from yesterday. 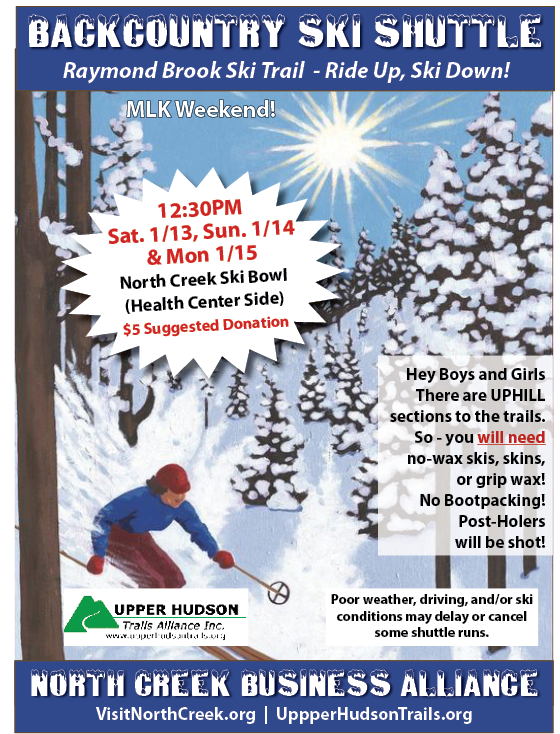 This shuttle by the North Creek Business Alliance will run Sat. Jan 6 and Sunday Jan 7, departing at 12:30PM. 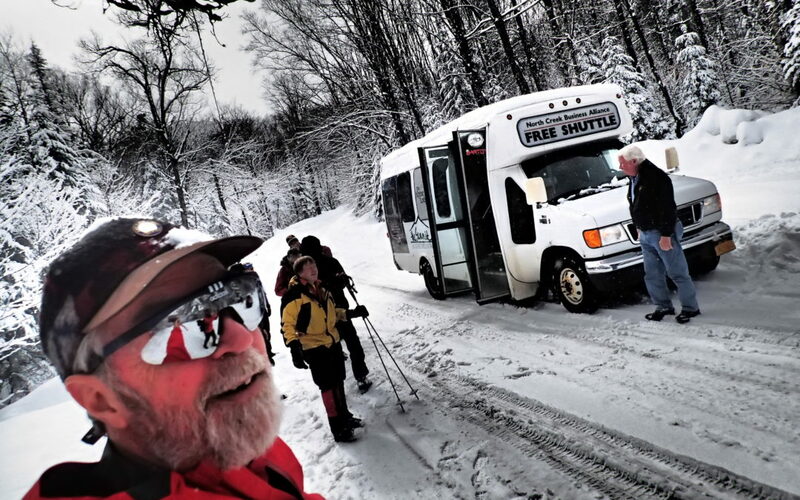 The Shuttle brings skiers up the Barton Road to The Raymond Brook Trailhead for a great backcountry (ungroomed) ski tour back to the North Creek Ski Bowl. Backcountry ski equipment is recommended – metal edge cross country or telemark skis. There are UPHILL sections to the trails. So – you will need no-wax skis, skins, or grip wax! No Bootpacking! Post-Holers will be shot!